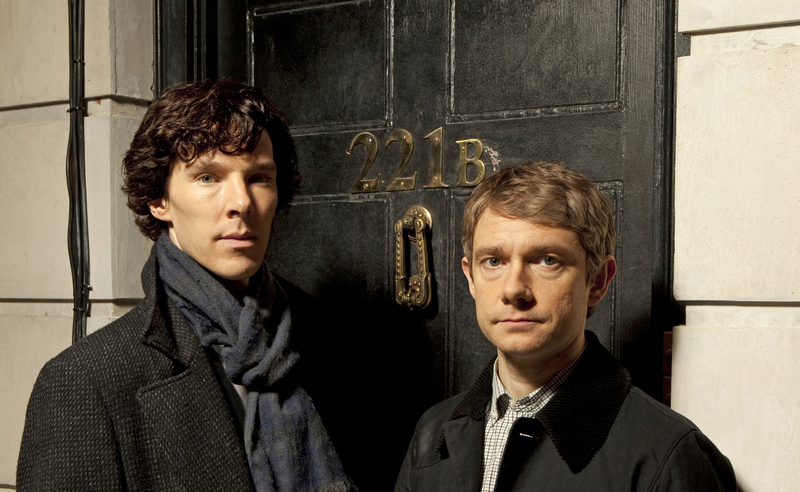 If you’re a fan of the hit BBC TV show Sherlock, then this is the tour for you. Meeting you at your hotel or convenient tube station, this private tour will take you to some of the best known and most important locations as seen on Sherlock. Visit the real street and see the actual door of Sherlock and Watsons home. See their favourite cafe, have a cup of tea there if you like! We’ll also visit the spot where Watson gets dragged into the world of Sherlock and see the actual place where Sherlock famously dies when he falls off that roof-top. The tour also includes a visit to 221B Baker Street itself, the famous home of Sir Arthur Conan Doyle’s detective for that chance to buy some Sherlock memorabilia and a visit to New Scotland Yard, home of the Metropolitan Police, the oldest professional police service in the world and one that features heavily in the original stories and the new TV show. Giving a very special Sherlock tour to Una Stubbs as Mrs Hudson and Louise Brealey as Molly as a prize for BBC Comic Relief charity TV show.